U.S. Coast Guard boats have seized 47,000 pounds of cocaine in the Pacific since November. 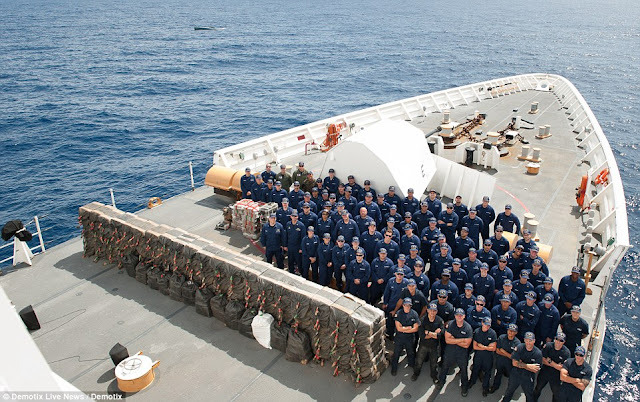 A massive amount of drugs was displayed aboard the Coast Guard Cutter Stratton in San Diego before it was unloaded. Officials say the drugs seized during 23 separate incidents are worth more than $721 million. The Coast Guard has broken cocaine seizure records for the past two years, taking in more than 227 tons of cocaine during the fiscal year ending Sept. 30. That represents only a fraction of the illegal sea shipments.